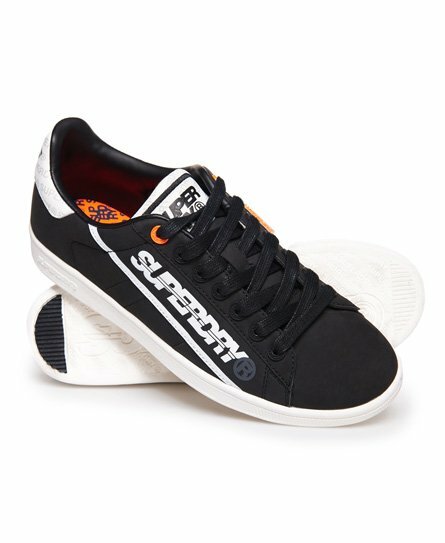 Superdry men's Sleek Tennis trainers. Up your footwear game this season with the Sleek Tennis trainers, featuring Superdry branding on the side, tongue and heel and seven eyelet lace fastening. The trainers are completed with subtle logo branding on the outer sole. Combining both style and comfort, these trainers are great for the everyday and are a great finishing touch to any outfit.